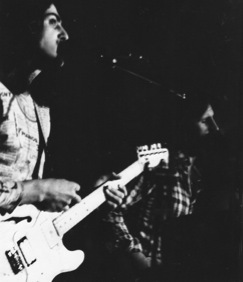 Performing material from their 2010 album “Picture this”, Peter and the Good Doctor features Peter’s vocal and Michael’s occasional harmony, with Peter playing acoustic and electric guitars and Michael playing acoustic and lap slide guitar and harmonica. Although generally performing as a duo, they also like to play with guest artists or feature backing tracks drawn from their album to give more weight to some of their songs. Peter began singing in choirs and played in bands from an early age. 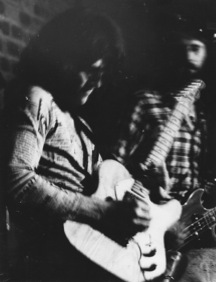 At the suggestion of Jon English, with whom he worked at the time, he took up the bass guitar and also started playing solo, his first job being a 5 nights a week gig in Kathmandu, Nepal. This lasted some 6 weeks until the challenge of playing and suffering from Hepatitis and Giardia forced him back to Australia, some kilos lighter. Michael, who Peter met in the 70s, had long hair, was tall, slim and looked a little like Jon English, so they immediately got on. Inspired by their meeting Michael trained to the doctoral level in composition, free improvisation and music technology/recording, broadening that in recent years to include music teaching, direction, production and facilitation, and feels he has probably now reached the point where he is ready to perform with Peter again. Since those heady days of the 70s, Peter and Michael have retained a personal and musical friendship and following the recordings of Peter’s album in Michael’s studio last year, decided to take the music on the road. Peter and the Good Doctor play their 2010 album “Picture this” featuring a collection of lovely ballads and driving, riff, hook and refrain laden songs. Peter sings, plays acoustic and electric guitars and Michael sings, plays acoustic and lap slide guitar and harmonica. Although they are very comfortable performing as a duo, they also like to play with guest artists or feature backing tracks drawn from the album to give more weight to some of their songs. Click here to listen to short excerpts from some of the the songs found on the Peter and the Good Doctor album Picture This. The songs were written by Peter Richardson and arranged, produced and recorded by Michael Whiticker. Peter grew up in Sydney and took up the guitar at 12. He had always sang in church choirs and at school and discovered early on that his great passion was music. He formed a band with school mates at high school and began playing at parties and school functions. At the age of 19, at the suggestion of John English, with whom he worked for a short time, he took up the bass guitar and began a carreer as a bassist with many bands in the Sydney area. He also started playing solo, his first job being a 5 nights a week gig at the Soltee Oberoi Hotel in Kathmandu, Nepal. This lasted some 6 weeks until the challenge of playing and suffering from Hepatitis and Giardia forced him back to Australia some kilos lighter! Back in Australia, while visiting a friend (Gary, who suffered with depression), in the North Ryde Pschychiatric Hospital, a musician was entertaining the patients. After talking to staff, and giving a short audition, he applied and was accepted, coming once a month to play for the patients. Thus began a 20+ year career at the hospital that continues today. Working at the Westpac Bank, he organised carol singing at christmas time to raise funds for Father Riley's 'Youth Off The Streets' charity and at a concert organised by Westpac staff - the 'Westpac Idols Concert', met singer Tammy and guitarist Taso and formed the covers band Amaryn Tea. In 2009, he released a CD of his own songs entitled 'Picture This', satisfying a life time ambition of recording his original music. The songs are now played by Peter and the good doctor - a duo he formed with long time friend, sound engineer and producer Michael Whiticker. 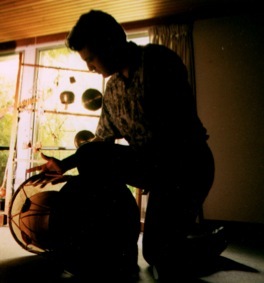 Peter unfortunately suffers form GAS - guitar acquisition syndrome, and at last count had 15 guitars..
Michael studied composition in Sydney and Berlin, beginning his Bachelor of Music in 1979 and completing his Doctorate in 1998. He has had a considerable career in the arts internationally and in Australia with residencies and commissions with most major Australian performing groups. International commissions have come from Germany, Canada, Sweden, Korea and Holland. He has had full-time composer-in-residence positions with bodies such as the Australian Opera in 1987 and the Melbourne Symphony Orchestra in 1992/93. This was followed by full-time lecturing duties at the University of Western Sydney (1994 - 96) and James Cook University (1997 - 98). He has served on numerous committees representing Australian music here and overseas and been a board member of a range of arts organisations. He is Artistic Director of the See Hear Now Festival and until recently was Artistic and Production Director of the Music Centre North Queensland. 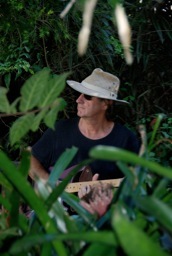 Today he lives in the Glasshouse Mountains in SE Queensland and works as a freelance composer, music technologist, improviser, workshop facilitator, teacher and arts event manager. He runs his own professional recording, song-writing and sound design studio - the Sound Space.